Q: How do I use CaGeDB? A: The main interface of CaGeDB is the table shown on top of the main page. This table can be used to search for both genes connected to Ca²⁺ and their associated diseases. It can be sorted according to gene symbols or according to disease names. The third column of the table links the row entry to the sunburst graph below. This sunburst graph is a visualization of all MeSH (Medical Subject Headings) terms. Those terms associated with Ca²⁺ are marked in red. By searching in the sunburst either via the table or the drop down menu, the term and all its ancestor terms are listed above the graph and marked in turquoise in the graph. Hover of the terms or fields in the graph to see their labels. You zoom into the field via a left-click on it and you zoom out again by clicking the center of the sunburst. See the video below for a demo of CaGeDB's functionalities. Q: Why is my gene of interest not found in the database, since there is/are publication(s) showing its involvement with Ca²⁺? 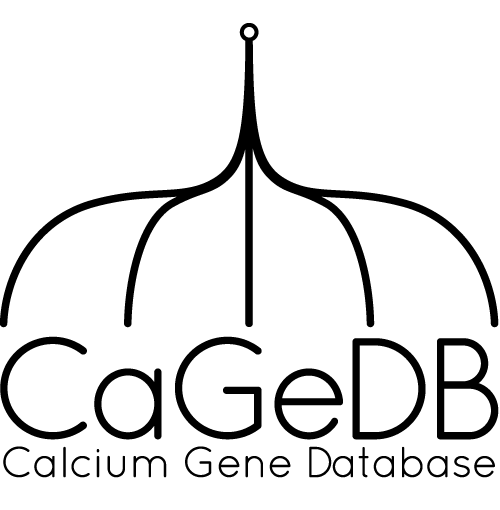 A: Our CaGeDB database uses gene ontology (GO) annotations, obtained from the Gene Ontology Consortium, to identify calcium associated genes. It is possible that the particular research paper citing your gene of interest has not yet been annotated by GO curators, is in the process of being annotated, or has been annotated, however you feel that the annotation could be improved to include new findings. By visiting the Gene Ontology Consortium you can check whether these options apply to your gene of interest, by following their instructions. You can also contribute to GO annotations by going to their contributions section and following the instructions there.